Why should I be using Twitter Lists? 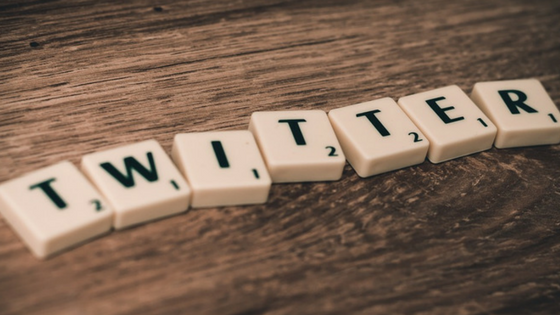 Amongst its many benefits from the organisation of your feed to keeping you up to date, you should first probably know what Twitter lists are in order to know why you should be using them. A list is a group of Twitter accounts created by a Twitter user. This is used to show all of the collective tweets from this group in one space, just like your Twitter home page, but instead of seeing tweets from all of the accounts you follow you only see those from within your Twitter list group. You are allowed a maximum of 1000 lists (as if that isn’t plenty enough), each of which is limited to 5000 users. You can create your own list and give it a name to make it identifiable, or subscribe to someone else’s. You are allowed a maximum of 1000 lists (as if that isn’t plenty enough), each of which is limited to 5000 users. Twitter’s support page gives a thorough walkthrough of how to create and remove lists for iOS, Android and via the web. Twitter Lists can be super beneficial. Grouping all of the users you follow into categorised lists can work just like a dashboard application management software tool. Some lists may be quite generic, and do exactly what they say on the tin. For example, you could have a list named ‘local’ with all of the users in your area collated into one list to keep up to date with your community. It’s a wise idea to have a list grouping all of your competitors together to see what they’re doing. If you’re struggling with content, or just like how they do what they do, then check them out. You can keep a close eye on them, but I’d probably keep this list private. An easy way to ensure you give great customer service – by having all your customers in one place. Never miss a beat and build on your relationships by responding and engaging, dealing with complaints fast and letting them know they are more than just a client to you. Similarly, you could make lists of your target audience in order to work out who they are, what it is they want and need and how you can deliver it to them. The people in this list may be potential clients, business partners, sponsors etc. This list should probably also be private. Make a list of the big names within your industry. It’ll be easier to see what they’re doing and to interact with them where you can. You could also use it as inspiration for your own content – share some of it or use it to your benefit. The people in this list may tend not to tweet as much as corporate accounts, so it’s easy to lose sight of them amongst all of the people you follow. In this type of list could be groups of your family and friends. Create lists for keeping up to date with something you’re interested in, passionate about, working on, or something that you should just really be keeping up to date with. There are lists you could subscribe to such as ‘breaking news’, for example. It could boost your image and give you greater social reach. For example, if LikeMind Media was listed in a ‘Top 100 Marketers in the World’ list, it would make us look pretty impressive to anyone browsing through the members in that list! It’s easy for people to find your account and associate you with something. Likewise, these types of lists will give you easy access to Twitter accounts you may find useful for yourself. It could be used to group members who contribute to a Twitter Chats you host or participate in. This will help you to keep up with the Twitter chat and use it for online networking at times when the Twitter Chat is inactive. You know those wonderful people that are always there to like, share and comment on your content? Why not place all of those users into a list so you can return the favour and do the same for them? This will ensure they retain their interest in you and could allow you to build a relationship. Building on the schmoozing, you could add people to a list with a great title just to give them a compliment (and put you in their good books). If you have a user you want to impress or to get the attention of, you could put them in a list such as ‘Great Marketing Content’, for example. It’s just more organised. If you follow a lot of people, it helps to keep track of those you need to. The Twitter lists feature can be manipulated for a variety of uses, and the public or private feature means its possibilities are endless. Lists are an untapped resource waiting to be utilised, so why not get started? If you decide you don’t like the feature, the lists can be removed and likewise, you can remove yourself from the lists as shown in Twitter’s support guide. Did you know that we can help you by managing your social media strategies? Check out what we can do for you!